Barnsley College Performing Arts students scooped prizes in three categories at the Matchfit Cultural and Creative Arts competition finals. Second place was awarded in the Musical Theatre category for the students’ extract of ‘Hairspray’, third place was awarded in the Dance category for a self-choreographed piece to ‘Uptown Funk’ and also to Shane Morrall in the Singer/Songwriter category for a number of self-penned and performed songs. 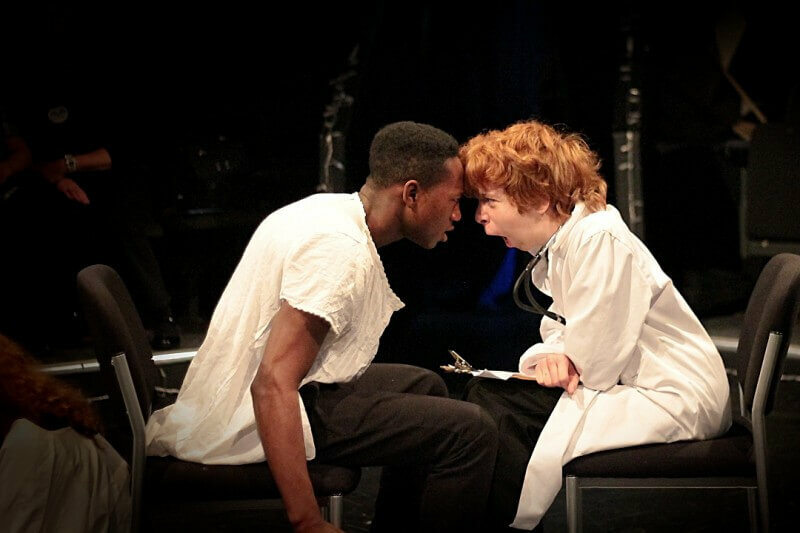 The students also performed extracts of the musical Sweeney Todd, the hard hitting play 4:48 Psychosis and The Full Monty, which received a special mention from the judges. 66 performers and supporters from the Performing Arts Department attended Matchfit Skills UK, a series of vocational skills competitions held throughout the Yorkshire and Humberside Region. The students were competing against a number of local and regional colleges in the Cultural and Creative Arts competition finals which were held in Scarborough.